Thank you for visiting The Spiritual Psychic. My name is Sofie. I’m a psychic in San Diego who helps people improve their lives. 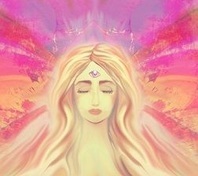 Through psychic readings you can gain empowering​ insights into your life. You can make better decisions and create the life you have always wanted. If you are looking for spiritual guidance Sofie is the one to see. She was thorough and straight to the point with. I would definitely recommend Sofie to any of my friends or family members. This is a psychic who has true talent and a true gift. Thank you for helping me. I gained clarity on the places in my life that I was unsure on and unable to hear my intuition on. Wow ! This was the best experience I have ever had . I feel like a weight has been lifted , Sofie is definitely the real deal . I finally have direction and I'm truly excited about my life. I highly recommend you go see Sofie ! Legit. I have received guidance on both career and relationships from Sofie. I started December 2017 and went back several more times in 2018 because she was right about the things she'd see in my life. I wanted to wait to review sofies readings again until certain events happened in my life that she said would happen and they did! Sophie is amazing and definetly has a gift. I get so much clarity from seeing her, I highly recommend her! Sofia was great! She read my energy very accurately and also just has an amazing, down to earth vibe. I would see her again! I've been seeing Sofie for 2 years. She's lifted me up into a place where I never thought I would've been and she keeps taking me higher in life. I will always see her especially if i'm feeling uncertain or if i'm holding fear. She will diminish it and fill... read moreI've been seeing Sofie for 2 years. She's lifted me up into a place where I never thought I would've been and she keeps taking me higher in life. I will always see her especially if i'm feeling uncertain or if i'm holding fear. She will diminish it and fill you up with the answers you're looking for. Pushing you to be the person who you are meant to be. Straight forward with burning honesty, she will give you answers, wether you like it or not. She is the real deal. And from what I experience through her readings, she is one of the best on the entire west coast. And with a great price too! The readings go by fast, make sure you remember her advice. Where do I start? Sofie is a pure hearted woman with a wonderful gift she uses towards the greater good of helping others. She has opened me up drastically in the past month or so and I feel a great deal of happiness and lightening since I started my Karma... read moreWhere do I start? Sofie is a pure hearted woman with a wonderful gift she uses towards the greater good of helping others. She has opened me up drastically in the past month or so and I feel a great deal of happiness and lightening since I started my Karma Cleansing. I had two readings with Sofie these two days. She is so accurate and spot on everything that I concern. 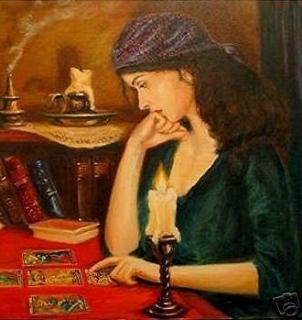 I would recommend everyone having a reading with her. It's totally worth. I've been to 3 psychics so far and she's on another level from people who call themselves psychics. Her reading was right on. She helped me with some pretty big issues. After going to her I felt a lot better. And I was able to make positive changes in my... read moreI've been to 3 psychics so far and she's on another level from people who call themselves psychics. Her reading was right on. She helped me with some pretty big issues. After going to her I felt a lot better. And I was able to make positive changes in my life. She is a nice woman who seems to care about people. I appreciated the fact that she told me the truth. The Types of Clients that Psychics Have: Which One are You?